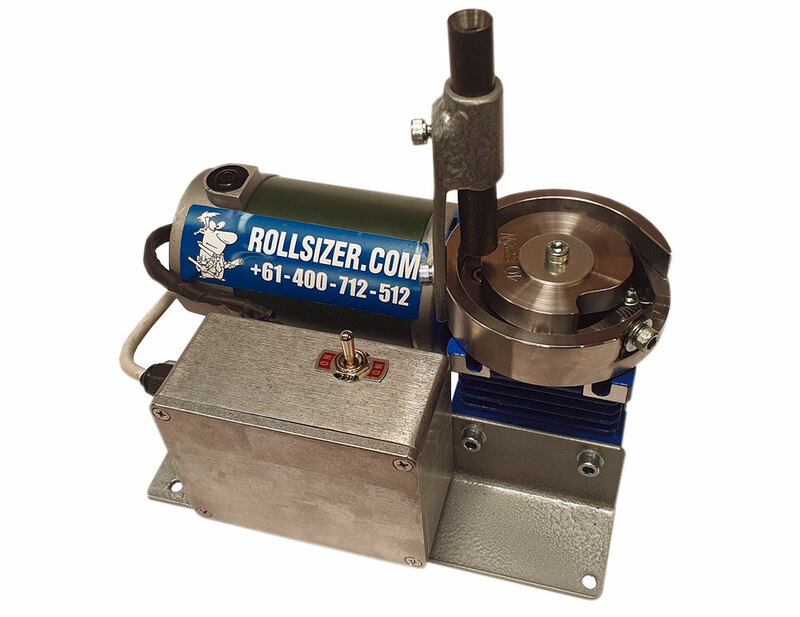 Home Reloading Rollsizer Rollsizer - DC Drive Mini Roll Sizer Machine - Base unit only! Note: the DC Drive Rollsizer will be in stock on April 20th, limited quantity. You can place your order now but shipping will commence once the units are in stock! Follow this link to the bundle to order your complete system now. DC Electric Drive Rollsizer suitable for most pistol calibers. Suitable for medium volume processing, processing rate is approximately 1200 cases per hour and is suitable for operation with most standard Dillon case feeders. Machined base plate, adaptor shaft, Drop tube mounting bracket, DC Motor and power supply and 2 x angle iron brackets suitable for mounting / securing to a work bench. Caliber conversion discs and drop tubes are separate and must be ordered separately.